multiple award-winning toque-standard Aqarium restaurant. 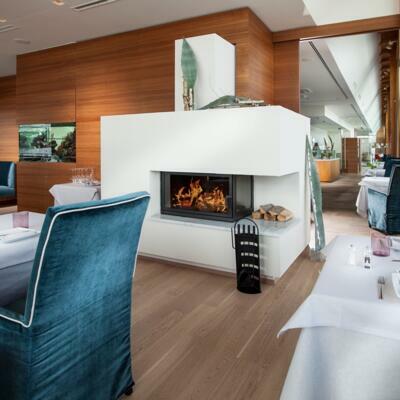 Inspired by Innviertel regional and seasonal products, the AQARIUM team conjures up a wide variety of dishes which are perfectly paired with the best wines from the restaurant’s wine cellar. Experience the wonderful combination of down-to-earth Innviertel cuisine and fine dining and indulge your palate with exquisite à la carte specialities or 6-course gourmet meals - all prepared in the modern open kitchen. An exclusive winter garden, with space for 20 people, and the atmospheric, historic wine cellar provide the perfect setting for family or company celebrations. In the summer, you can enjoy the peaceful atmosphere of our beautiful terrace overlooking the water-lily pond. Since 2012, Peter Reithmayr has been Chef de Cuisine of AQARIUM which was yet again awarded two toques in the 2017 Gault&Milau guide. Using local produce, Reithmayr skilfully creates delicious gourmet dishes with a strong regional influence. “Modern, international, philosophical – I want to try everything”, is how he sums up his approach to his passion. You will find exquisite dishes and popular classics in the 6-course menu, which changes on a daily basis. Carefully selected regional and international produce are the only ingredients to complement the various fish and meat dishes. “We endeavour to cook our fish and meat as gently and slowly as possible to create the perfect taste,” says Reithmayr. Previously, the toque award-winning chef held various senior positions in top kitchens in Austria, Germany, Switzerland, Ireland and the United States. After serving his apprenticeship as a chef under toque-winning chef Peter Legat, David Bernauer first became part of the AQARIUM team between 2013 and 2015. He subsequently gained considerable professional experience in a number of hotels, including the Zürserhof in Zürs, the Crown Plaza in Salzburg and the Antoner Hof in St. Anton. In 2016, David Bernauer rejoined our team and has since been sous chef and right-hand man to Peter Reithmayr. After successfully completing his qualification as an apprenticeship trainer in 2015, he now looks after our AQARIUM apprentices. His personal motto: "Anything under 200g is a carpaccio". In 2014, Carina Egger joined the AQARIUM team as a commis de rang. After gaining experience both at home and abroad, including at Schloss Fuschl, in Lech am Arlberg, in Sweden and in Scotland, the qualified sommelière rejoined the AQARIUM team in 2017 and took on the position of Restaurant Manager in mid-2018. Currently, the trained catering expert also works at the Institute for Economic Development, where she trains apprentices and prepares them for their final exams. Her professional knowledge was particularly influenced by a period spent at the Domäne Wachau winery. During her seven months there, she was able to experience every aspect of the world of wine. Her personal motto: "A glass of wine has many stories to tell". At AQARIUM, we will spoil you morning, noon and night with selected delicacies from regional and international cuisine and an exquisite selection of national and international wines from the hotel's own wine cellar. There is a children’s menu with a choice selection of meals for the little ones. Do you love fine dining but would rather save yourself the effort in the kitchen? 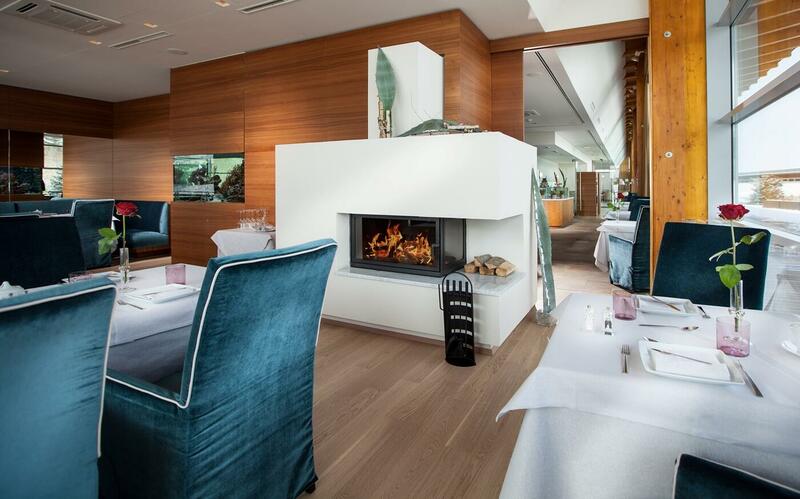 Hang up your apron and enjoy toque-award standard cuisine at AQARIUM, Innviertel’s unique gourmet restaurant. We will tantalise your taste buds every Sunday from midday with a 3-course gourmet menu starting from €29,00 per person.